We love volunteers! They are the lifeline of our organization from stuffing envelopes, to working our events, all the way to our board of directors. If you are interested in becoming a volunteer, please contact us below. Becoming a Sustaining Patron is a great help to the Burien Arts Association. Many employers will match their employees’ gifts to charities and non-profits as a service to the community. All donations are tax deductible. Click here for the Sustaining Patron Form. Local businesses and individuals contribute to the success and sustainability of Burien Arts Association. Dunn Lumber, Normandy Park – regional chain of lumber stores. Big Leaf Manufacturing, Seattle – custom furniture fabrication. Ola Salon & Spa, Burien – salon & spa services. 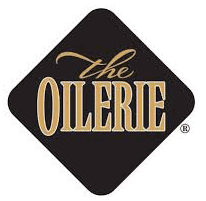 Oilerie Burien – Flavored oils, balsamic vinegars & spices. Bakery Nouveau Burien – Burien branch of well-known French bakery. Burien Press – Cafe & light eats. Hans Sausage & Delicatessen – Homemade German sausages & German foods. 3 Wishes – Women’s clothing boutique. Iris & Peony – Florist. The Tin Room – Bar, restaurant & movie theater. A Place for Pets – Pet store. New Balance Chiropractic, White Center – chiropractic practice. Crossfit, Burien – fitness studio. Please consider sustained giving to the Burien Arts general fund or to a specific program such as a student scholarship, Shakespeare in the Park, the Highline Classic Jazz Festival, or hands-on Grade 5-12 student art workshops. Contact us at burienarts@gmail.com for more information.